J. 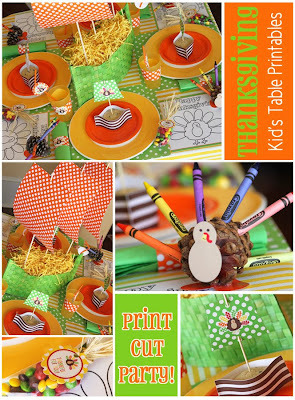 At Your Service: Free Thanksgiving Printables! As if you didn't know already..... I LOVE PRINTABLES! 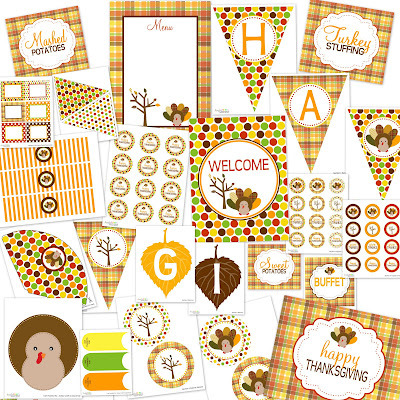 And thanks to some very generous ladies, you all get to have (for FREE), awesome Thanksgiving printables. Perfect for a kids table as well. I personally don't set up a kiddie table, because I don't have room for one in my small dining area but I thought maybe some of you who will be having a kiddie table, might appreciate these. So here I am spreading the word! Dimple Prints, one of my favorite Etsy shops is giving away this cute printable package. Just click on the LINK and download the package straight from Carli's site. It's THAT easy! 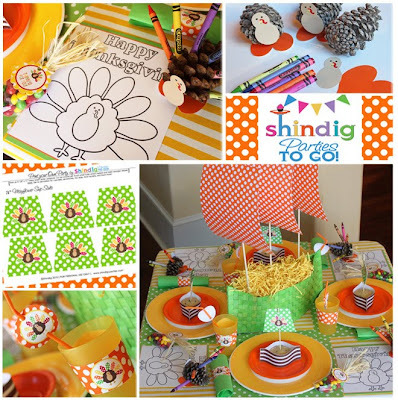 Another great freebie is from "Shindig Parties to Go" and "A Few of My Favorite Things". Follow a few simple steps and receive this adorable party package. 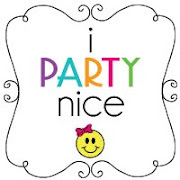 Become a FAN of Shindig Parties to Go on Facebook. Click on the Discussion tab and look for the secret code. Email Shindig's and receive an email back with this package. Check out their site to get the full contents of the free package.